This is a personal way for your group or organization to experience social justice. St. Dismas was the good thief who was crucified next to Jesus and who asked Jesus to remember him. Jesus promised him that he would soon enter paradise. You might say, Jesus gave him another chance, and that is what the HELP Program is all about. 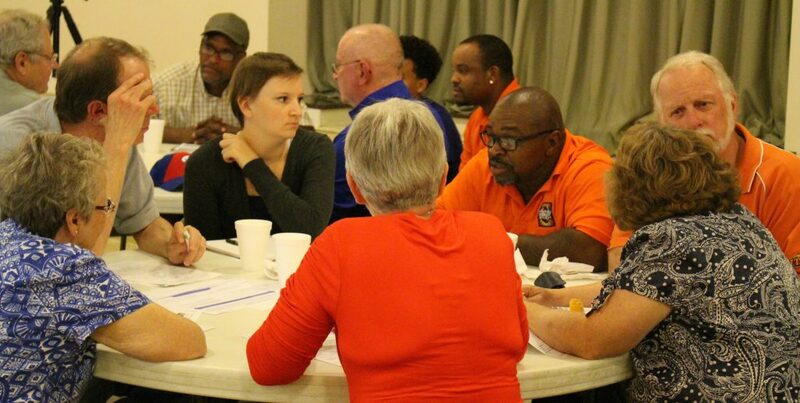 The Dismas Journey is a 90-minute session in which returning citizens share their stories. It is about incarceration, the immense challenges of re-integration, and the role that businesses play in giving those men and women another chance. If your organization, church or parish would be interested in hosting a session of the DISMAS Journey, please contact us at 513-961-0027.